Why Should You Embrace Video Selling? In the ever-competitive world of sales and marketing, video is your secret weapon for jump starting and accelerating your sales cycle. Your prospective customers are hit with 100+ emails and cold calls every day from 100+ other sales people (Radicati Research). And with the rising popularity of artificial intelligence and email automation, every one of these emails is hyper-personalized to the recipient. Why should your prospect pay any attention to your cold outreach? Video provides a means of personalization that cannot be faked. It shows that you are human (not a bot) who took the time to create a message for them. Video helps you build trust, credibility, and a relationship. And video is fun! You can engage your viewer with your personality, expression, tone of voice, while conveying value that simply is not possible through raw text. The law of reciprocity indicates that we repay in kind what another has done for us. If you take time to make a personalized video for a prospect, your target customer will take the time to watch it. Coupled with the fact that 59% of senior executives report they’d rather watch a video than read text (Forbes) and nobody loves cold calls, video is the most effective way to get in touch with your prospects. Despite the data showing that video will significantly increase the volume and size of deals, and that Hubspot reported video prospecting as the #1 skill every sales development representative needed to master in 2018, only 6% of sales teams leverage video as of December 2018. There is still a huge opportunity for early adopters! The biggest barrier to using video is that people think that it’s hard. 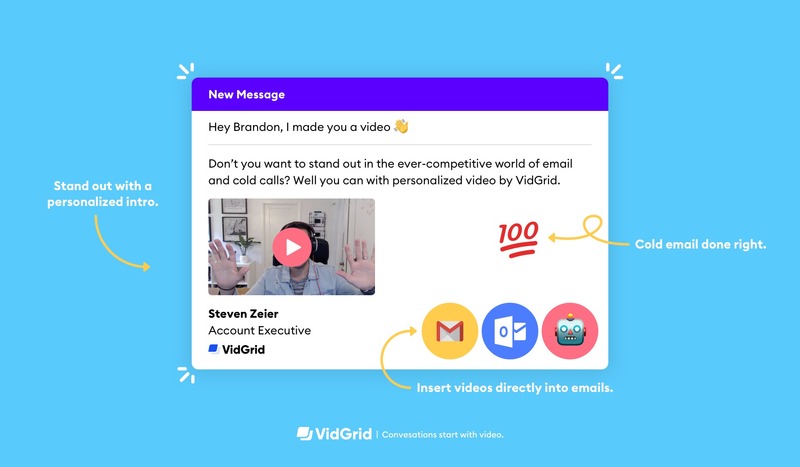 But, like writing emails and making cold calls, video is a muscle you need to grow. We made this Video Selling Playbook to help you master the art of video selling. Whether you are a complete beginner or have some experience, we are sure you will find value leveraging our learning process. Please use the following articles as resources as you explore video selling. Go at your own pace, and practice, practice, practice!